The Andora 78" rectangular dining table from Urban Woodcraft exudes farmhouse charm with its natural wood construction. Handcrafted from naturally finished reclaimed teak and pine wood, this transitional piece shows off clean-cut yet dramatic details in its thick breadboard top and substantial leg proportions. Transitional style blends traditional and contemporary elements, with the substantial leg proportions and thick, solid tabletop. Add comfort to your dining room with this unique transitionally styled dining table from CorLiving. Constructed of hardwood and wood composites, the DRG-695-T is packaged in one convenient box and assembles in minutes. Features a Rich Cappuccino finish, Ogee profile table top, angled aprons and beautifully crafted legs at a great value. Accommodates up to six people. 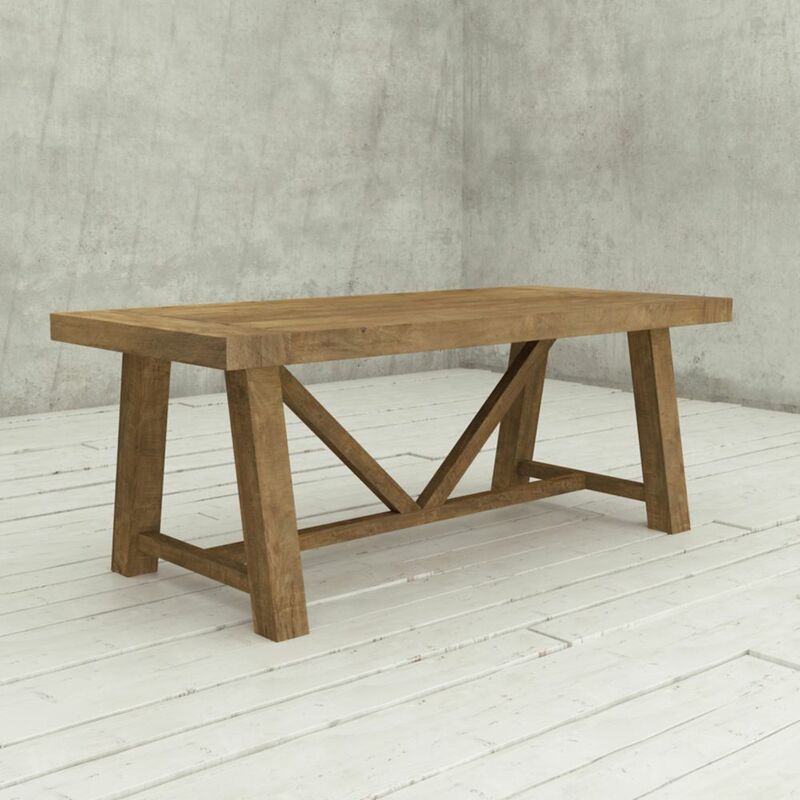 78 Inch Andora Dining Table Natural The Andora 78" rectangular dining table from Urban Woodcraft exudes farmhouse charm with its natural wood construction. Handcrafted from naturally finished reclaimed teak and pine wood, this transitional piece shows off clean-cut yet dramatic details in its thick breadboard top and substantial leg proportions.